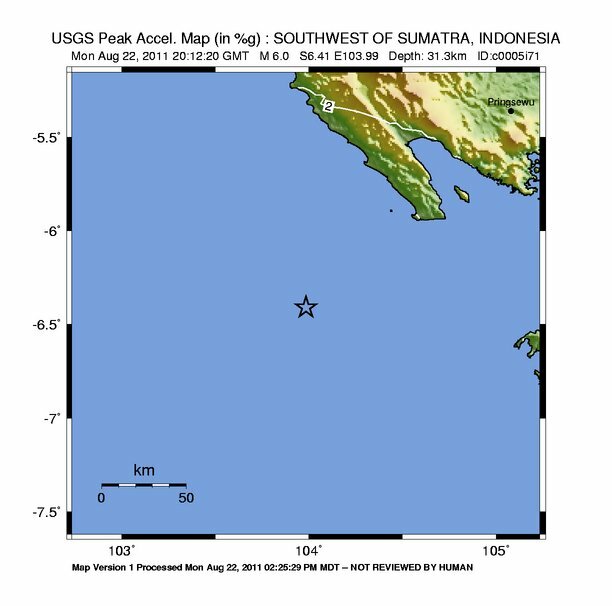 A magnitude 6.0 earthquake struck off the coast of Indonesia early Tuesday morning, according to the US Geological Survey. No tsunami alert was immediately issued. 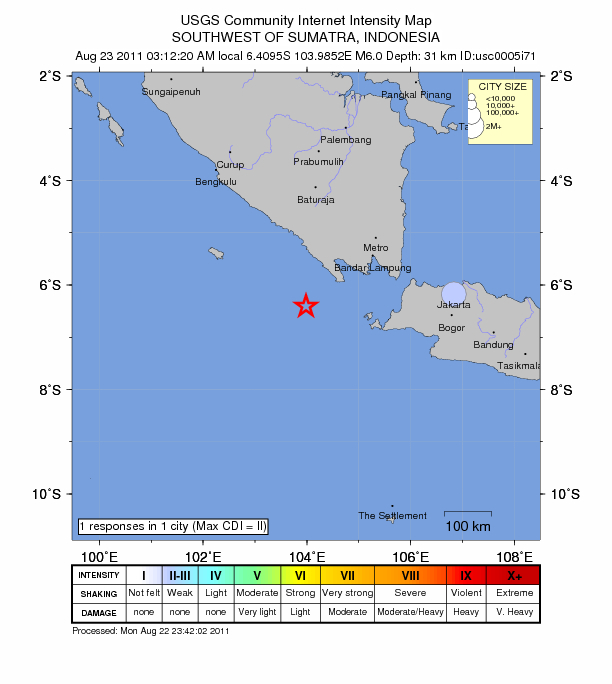 The quake, which hit at 3:12 a.m. local time (2012 GMT), was centered about 176 km (109 miles) SouthWest of Tanjungkarang-Telukbetung on the island of Sumatra and 315 km (195 miles) west of Jakarta (6.410°S, 103.985°E). Its recorded depth was 31.3 km (19.4 miles).